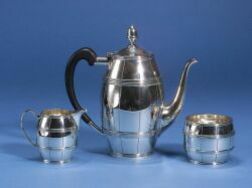 George V Six-Piece Silver Tea and Coffee Service made for Tiffany & Co.
Electric Coffee Grinder in the Shape of a Coffee Pot, by the American Duplex Co., Louisville, with selector knob, ht. 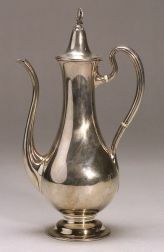 29 in. 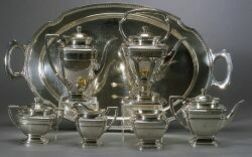 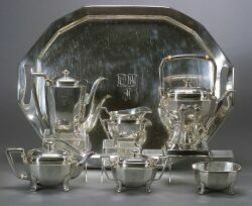 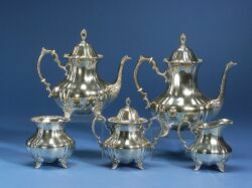 Three Gorham Sterling Tea Set, retailed by Bigelow Kennard + Co., pot, creamer, and sugar.